The most effective way to engage with business owners. Advisors who work in advanced markets don’t need another “shiny object.” They need a comprehensive methodology. A sales process that will differentiate their firm, educate clients and drive top-line revenue. BusinessKillers is unique. It’s a multi-purpose tool that uses short, emotional videos that take business owners through a compelling discovery process and motivate them to act. The vignettes illustrate the consequences of mistakes in planning; no vignette is longer than two and a half minutes. Using this sales process you will get business owners as clients, keep business owners as clients and multiply your business owner clients. 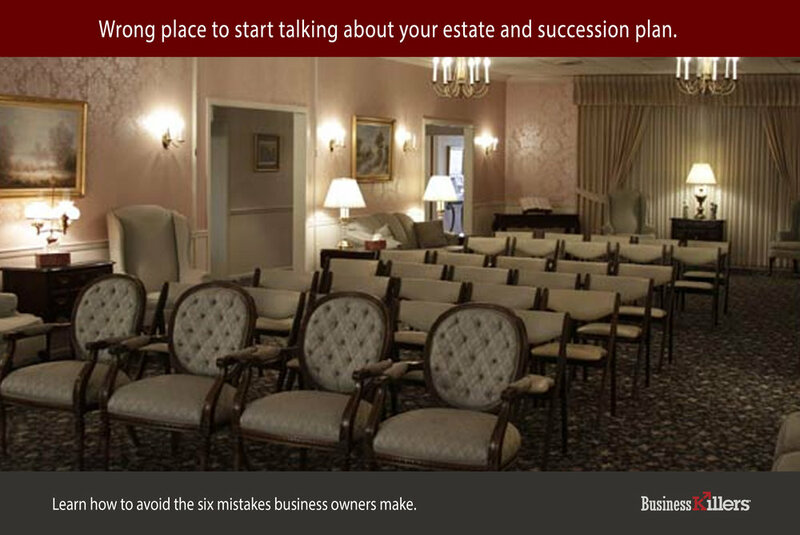 Help attendees identify mistakes in planning and protecting their business. 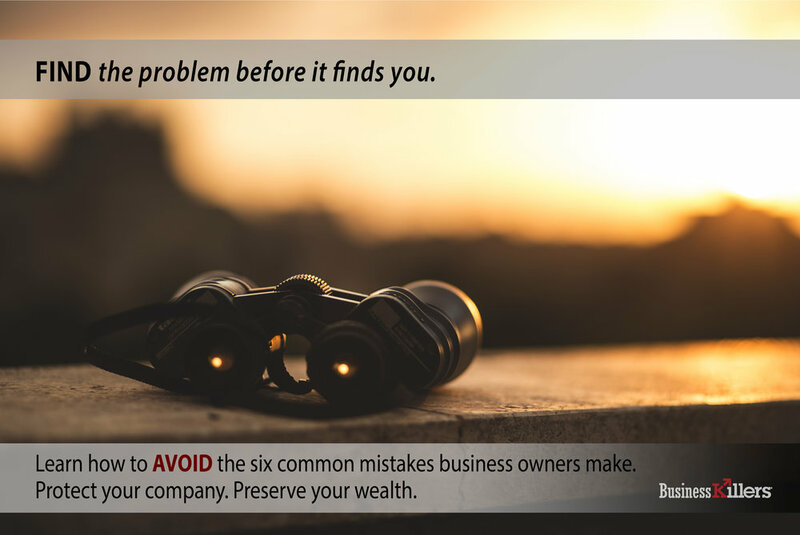 Magnify the problem and make business owners recognize who will be affected if they don't fix it. Position the advisor as the professional who has the solution(s). 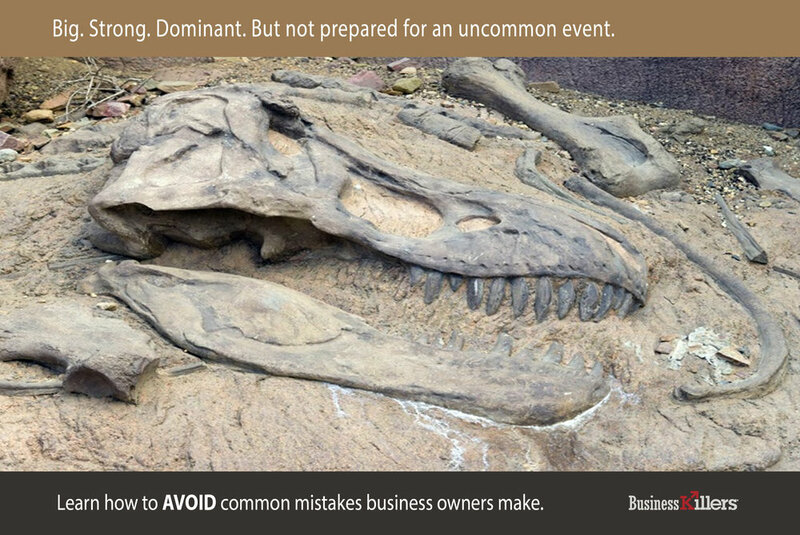 If you are using BusinessKillers as a presentation, the moderator follows a defined Outcome/Solution path - refined over 20 years - so attendees can self-assess their individual level of risk around each of the six mistakes. And there is a complete version for female owners. The program can also be used one-on-one, only selecting a single topic to start a conversation with a client. In any scenario, business owners do not want to learn about products. That's why there is no discussion of insurance product or financial services in BusinessKillers. "I know what my business is worth." "I'm too busy running the company." "That'll never happen to me." "There's plenty of time for that." "My business is my retirement." "You can't beat Uncle Sam." All licensees get access to a wide variety of training, marketing and support materials. Here are sample postcards. These can be printed and mailed, emailed, embedded on your website... Click on any image to view. With an AMANDA account you can also send out video invitations that are branded to you and your agency. There are presently eight different invitations in the AMANDA on-line library. With BusinessKillers, advisors can establish strong affiliations with Centers of Influence: Banks, CPAs, Attorneys, P&C Agencies, RIAs, and Business Coaches. These professionals all have relationships with business owners and their clients must address these same issues. Centers of Influence are also keenly focused on growing their practice and customer retention. Co-hosting a Business Owner Summit or other similar event is a great way for them to demonstrate value and create a new source of revenue. BusinessKillers is also CPE approved for CPAs in every state. 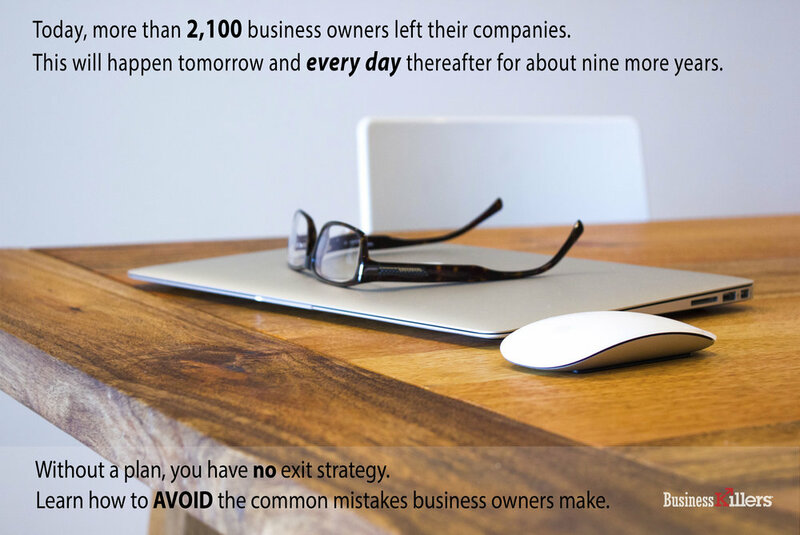 Business owners will never make extremely important decisions unless they are face-to-face with a specialist. Ready to join the elite group of professionals who are already working with business owners?